Another week and another tutorial is out. I’ve been working very hard these past few months to create a whole host of new tutorials for you all. It probably looks like I’m not really doing much, but everything is always hush, hush and I’m not allowed to share what I’m working on until the magazine is out. 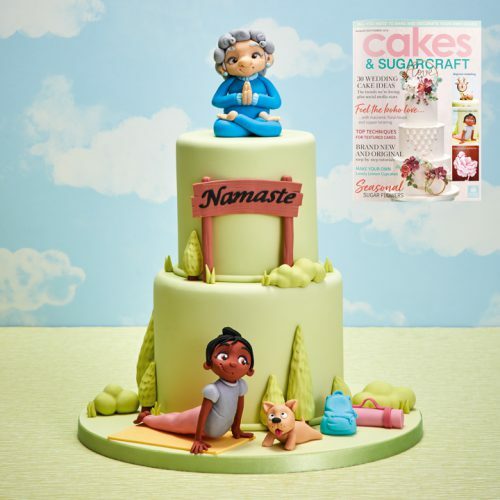 I can tell you though, that I’ve got a Summer/Beach themed carved cake, a Mermaid 2 tiered cake, a carved 2 tier Teachers cake, Halloween cupcakes x 2… because there’s always room for more Halloween :p, one of my favourite cakes ever will be out for Christmas too. And I’m in talks to create a Christmas cupcake tutorial too 😀 Oh and I shouldn’t forget that I’ve created a cool Christmas Cactus tutorial that will be released by Saracino. I really do hope you all enjoy my tutorials and if you have any themes that you’d like to see please comment below or drop me a message! 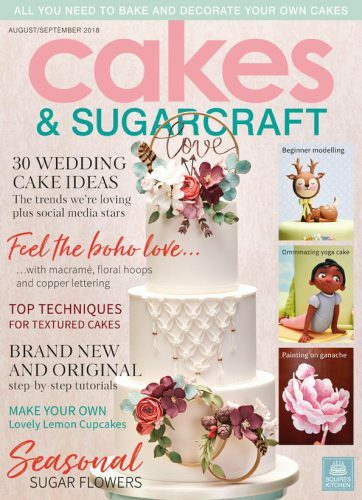 But for now, here is my latest tutorial with the fabulous Cakes and Sugarcraft magazine. 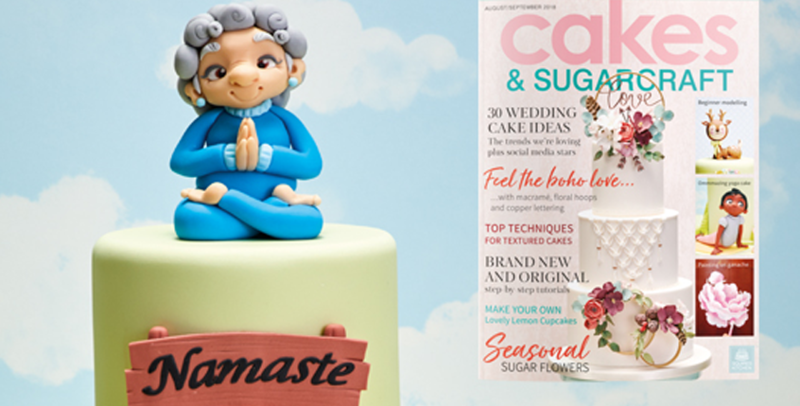 You can learn to make a 2 tier Yoga themed celebration cake. Complete with 2 models and a teeny dog.